Our vision is to be recognized INPHARM market. 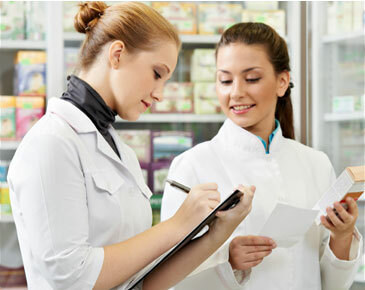 The motto of the company is Inpharm - The satisfaction of our partners, customers and employees is the main goal of our business. We are a company that is dedicated to quality management, care about their employees so as to provide a safe and healthy work and protect the environment. We offer storage in our storage areas according to the latest standards. Transport of goods, customs brokerage and overall logistics is what sets us apart. 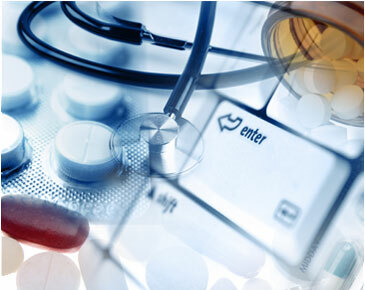 Inpharm Co. is an optimistic company in rapid development that sees the future as a chance for success, reflected through satisfaction of all stakeholders, our buyers, partners, employees, owners and the entire society. A careful selection of represented partners and medical products in trade, presence of those products on the list of medications that are available on prescription, investments in promotion, serious approach to buyers, medical experts and patients, investments in new facilities and infrastructure look promising for the further turnover growth, which was established by Inpharm Co. as well as the increasing quality of services we provide to our clients and buyers. 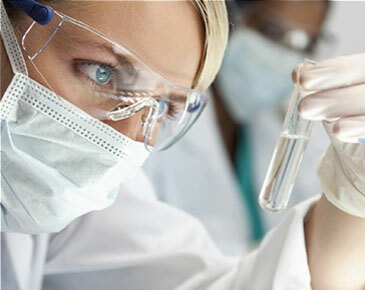 It is our vision that INPHARM gets recognition in the market for its specific program of quality medicines and other products, well organized and prompt distribution, with company reputation that stands out through expertise, speed, quality and ability to answer the requirements of the market at any time. Motto of the Inpharm Company is – Satisfaction of our partners, buyers and employees is the main objective of our business. At the beginning of November, 10 years of cooperation between our company and Vitabiotics company was marked in Belgrade, with the presence of guests from Great Britain - Vice President Mr. Rohit Shelatkar and Export director g. Ritesh Patel. On this occasion, INPHARM company organized two events for both guests and our long-standing associates from all over Serbia. When it comes to pregnancy, number one brand in the United Kingdom is Vitabiotics Pregnacare. About the entire Pregnacare pallet, we talked about on the event 6th November at the Yugoslav Cinema, with a focus on a new product in our market that is intended for couples who want to have a baby - Pregnacare him & her conception. Mr. Shelatkar spoke about the composition and benefits of Pregnacare products, referring to the role of supplements in the modern world. With an energetic performance, supporting his claims by the data’s, to the pharmacists and employees of INPHARMhe provided a clear picture of today‘s man and woman, and their needs, especially when preparing for the extension of the family. 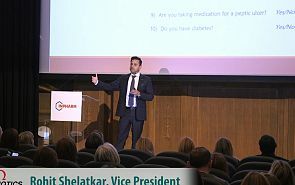 Company Vitabioticswas presented by Mr. Patel. After the presentations, there was socializing with music, service and conversation. Since FeroglobinB12 has been in the capsules for years already a more productive iron-based product in Serbia (according to IMS data), the second event was dedicated to this product. In full hall of INPHARM on 7thNevemberVitabiotics colleagues presented Feroglobin based on experience from the UK, while the attendees have listened about experiences from Serbia from Prof. Dr SvetlanaVrzić-Petronijević. The teams were in excellent mood, and all the participants had the opportunity to talk with our partners from Vitabiotics on various topics. Take a look at the video and feel the part of the atmosphere that has been going on during these two days in our video gallery. Another sport event where Inpharm team took part, and of course achieved a great result! 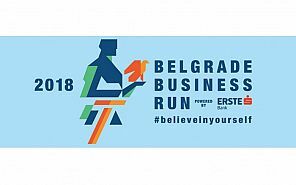 The Belgrade Business Race organizes a race of companies and aims to raise awareness of companies about an important segment of life, which is a sporting activity. Inpharm as a responsible company has attended a large number of sports activities and will always support them with their participation. Every honor for the team for the 188th place in the race where more than 400 teams participated! 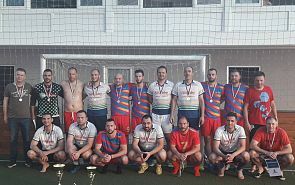 Football Pharmaceutical league – first place! We are proud to announce that the Inpharm team is the winner of the Cup for the first place in the Football pharmaceutical League. After a hard fight in the semi-finals, deservedly win gold and once again confirm that they are the best among the best! Inpharm is proud of your team!